Mobile Phone to Give Peace of Mind? Posted by SizloTech on Feb 1, 2014 in Mobile Phone, Unique Concepts | Comments Off on Mobile Phone to Give Peace of Mind? Gone are the days when telephone was just a talking and listening device. Today’s telephones can do anything and everything. They can take photos and videos, send text and voice messages, act as flashlights and torches, bring internet at your hand, act as computers to save your important files and documents, give you alerts and alarms, remind you of important dates, etc etc etc! I won’t be surprised if tomorrow someone tells me that her/his phone prepared a delicious chocolate cake and then washed some clothes. But still, I indeed got a pleasant shock when I read that now mobile phones can act as remote control through which you can now control all the electronic appliances in your home whether you are at home or away! And this has been achieved by Control4 Home Automation System. 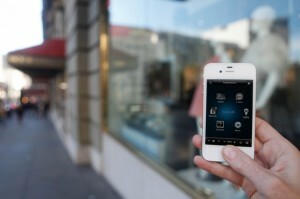 What is Control4 Home Automation System? Control4 Home Automation System is a software developed by a company named Defined A/V based in Thousand Oaks, California, which allows you to control all your electronics and systems from your Android or iOS smartphones, iPad, tablet or computer. Defined A/V installs the Control4 system and home theaters in luxury homes in Southern California. Control4 enables you to control your TV, security system, thermostat and lights from one single easy-to-use interface. You can access it from your mobile phone, tablet, TV or remote control. Of course, Control4 brings you a lot of comfort and convenience. But more importantly, it gives you a great peace of mind. Imagine, you are out on vacation or just say, have gone to work and you suddenly remember that you have left your garage door open or the kitchen lights on! Won’t you be restless? Will you enjoy your vacation or can you do your work peacefully? No! But if you can solve your problem just with your mobile phone and just tap some buttons to shut your garage door or switch the lights off, won’t it be just great? This feeling of security is brought to you by Control4. There are lots of such incidents happening in our lives. E.g. you sometimes forget to keep keys for your kids when they return from school or for housekeepers and leave for office. In that case, you can unlock the door remotely for the kids or housekeepers, with your mobile phone, without leaving your office. This is of a lot of convenience when you are very far away from home, like on vacation in another city or state. You can control your home from such a long distance with just a few buttons! You can also get automatic alerts if there is leakage or fire in your basement. Similarly you can also set up motion detectors and sensors for any part of your home, so if there is some stealthy movement and a cabinet or safe or drawer is opened, you can get an alert immediately. To get more exciting information, visit Control4 dealers Thousand Oaks. So, though mobile phones have not yet started cooking and washing for us, they can at least make these tasks easy as we can control our oven and washing machine through them! 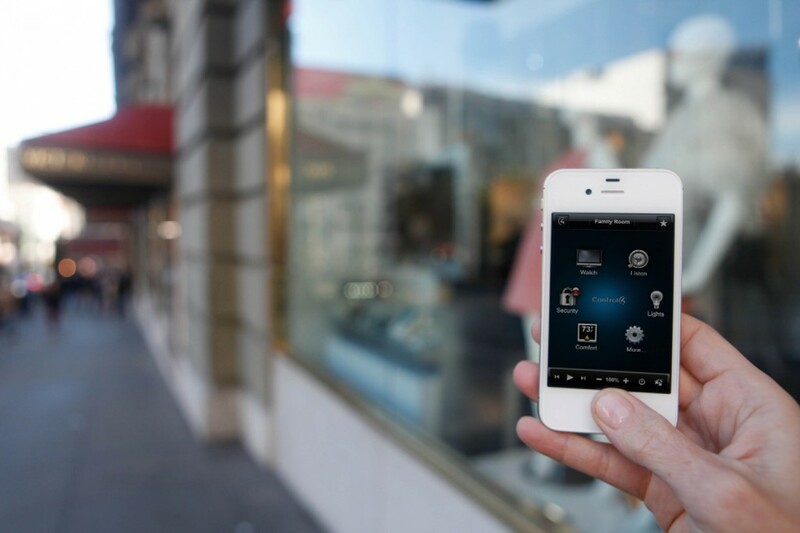 With Control4 set up in your home on your mobile phone, life is simply awesome!